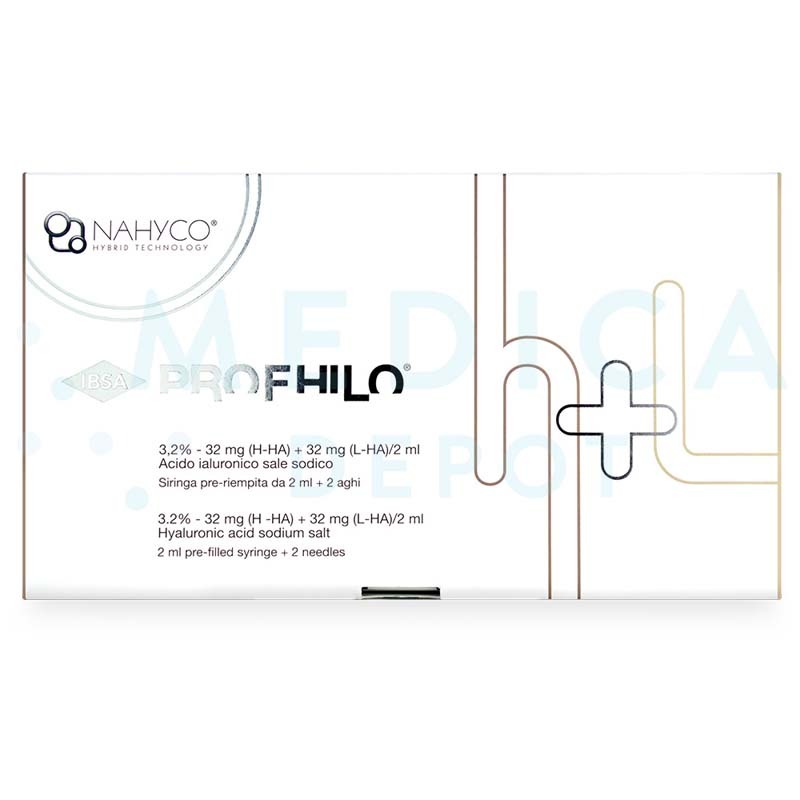 Profhilo is an injectable gel made with the highest concentration of pure hyaluronic acid sodium salt available on the market, 64mg/2ml. The dermal implant contains a combination of both 32mg/ml of low molecular weight and 32mg/ml of high molecular weight of hyaluronic acid. The molecules are stabilized using patented NAHYCO™ Hybrid Technology and is free from any chemical reticulating agent. This injectable gel is designed by Farmaceutici Italia, an Italian pharmaceutical company. It is meant to help treat skin laxity as it remodels the skin from within following intradermal administration. Compared to other brands of dermal fillers that are indicated for filling wrinkles, Profhilo is more suitable to tighten and rejuvenate the skin. It can also be used as a complementary treatment to other dermal filler treatments and aesthetic procedures. Where can I buy this injectable implant? Purchase Profhilo via our website at MedicaDepot.com or place your order by phone, fax, or email. We ship to most countries and territories using trackable courier services. If you are a cosmetic surgeon, dermatologist, other type of doctor, licensed medical practitioner, hospital, or clinic, you can order Profhilo and other aesthetic injectables easily from our website. Simply make an account and you can start ordering today. 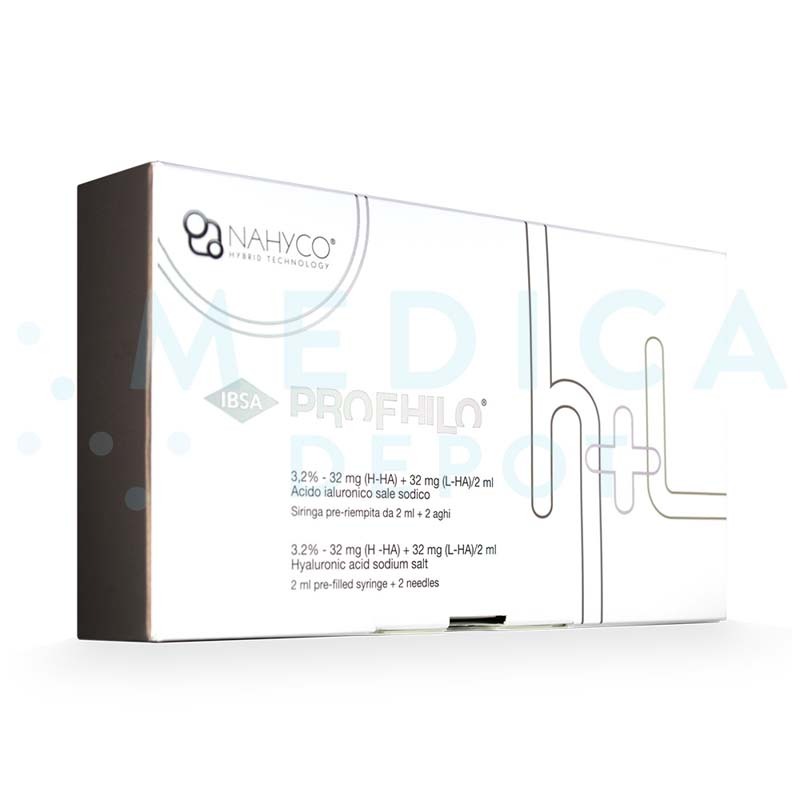 Each box of Profhilo comes with 1-2ml syringe that is prefilled with the injectable hyaluronic acid gel, 2-29G½" sterilized needles, 2 patient traceability labels, and a product information pamphlet. What are the benefits of this soft tissue implant? 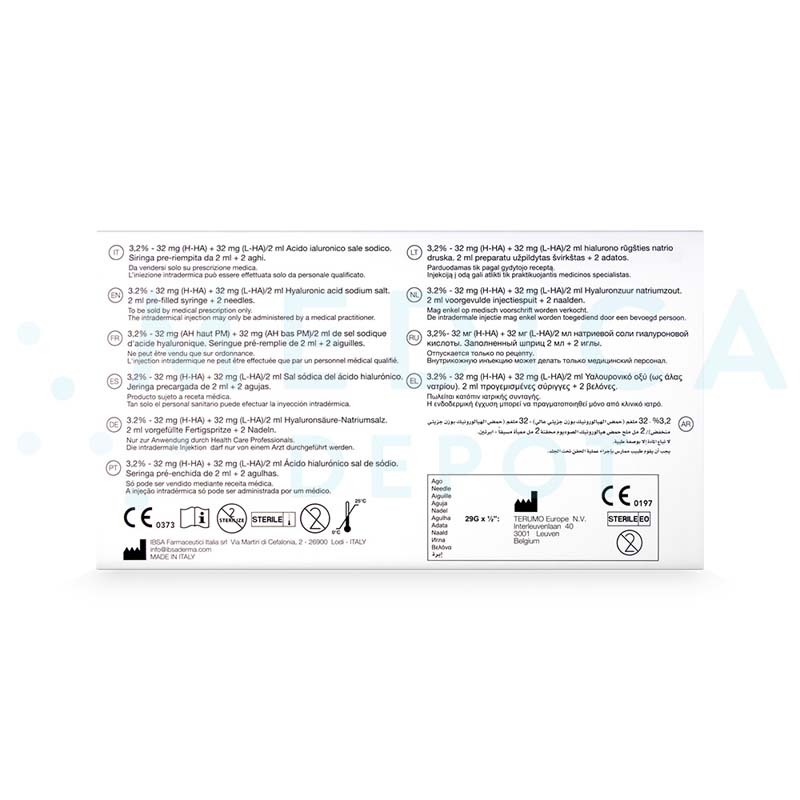 Profhilo is a genuine dermal filler that is manufactured by Farmaceutici Italia, an innovative medical manufacturer. The injectable gel is made of pure hyaluronic acid, a naturally-occurring carbohydrate molecule that is essential for maintaining the hydration level and elasticity of the skin. It is an important ingredient in aesthetic products as it helps to rejuvenate skin. This implant is also made of high concentration of hyaluronic acid, at 32mg/ml. Most importantly, this implant is made without the chemical cross-linking agent, 1,4-butanediol diglycidyl ether (BDDE), which can trigger sensitivity reactions in some patients. Following 2 initial treatment sessions, the aesthetic results can last for about 6 months. This injectable gel is made of a mixture of high and low molecular weight hyaluronic acid in a high concentration. Since it is processed using proprietary NAHYCO™ Hybrid Technology, the gel is highly spreadable yet cohesive, helping it to effectively correct difficult-to-treat areas with long-lasting effects. Once you inject the hyaluronic acid into your patient's skin, the particles hold moisture to restore hydration and volume, supporting skin affected by wrinkles. What are the ingredients in Profhilo? This dermal filler is made of 32mg/ml of low molecular weight and 32mg/ml of high molecular weight pure hyaluronic acid. 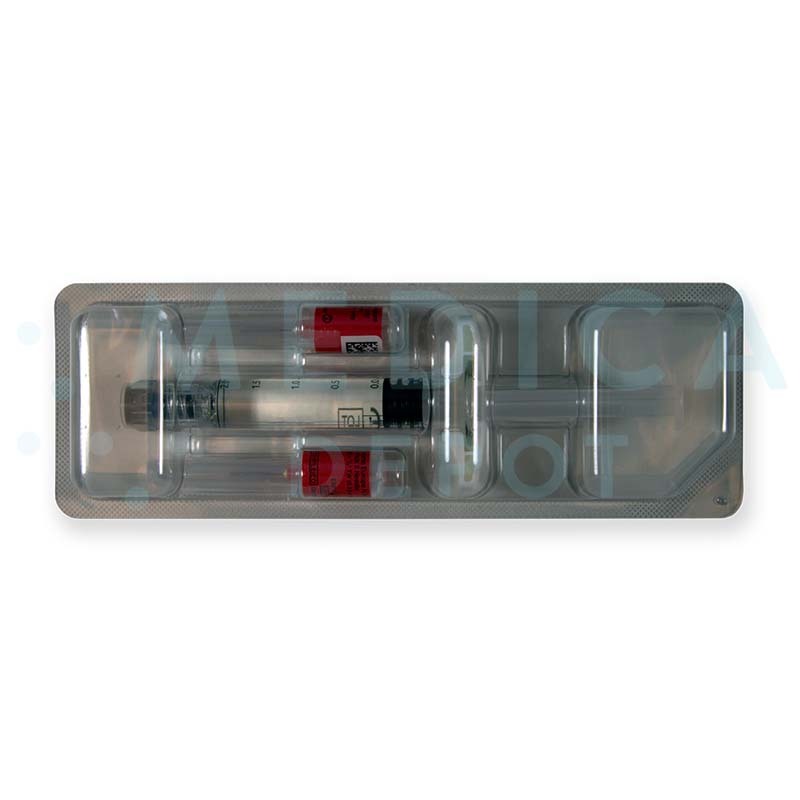 The resulting 64mg/ml of cross-linked gel is supplied in a 2ml syringe. What is the difference between Profhilo and other dermal fillers? This cosmetic injectable can correct difficult-to-treat regions where other dermal fillers are usually rendered ineffective, such as the temples, forehead, inner arms, hands, and neck. While dermal fillers usually focus on adding volume, Profhilo focuses on treating skin laxity. Prior to starting the treatment session, ensure that the patient is suitable for treatment with hyaluronic acid injectables by thoroughly reviewing the medical history. A complete assessment of the skin will also determine the severity of concern and help you to gauge the volume of filler required for adequate correction. Prepare your patient for the procedure by cleaning and disinfecting the proposed treatment areas. When treating the face, use the Bio Aesthetic Points (BAP) technique by injecting the hyaluronic acid gel at five specific places: zygomatic protrusion, nasal base, tragus, chin, and mandibular angle. It is best to inject the hyaluronic acid gel subcutaneously or into the deep dermis with a 29G needle, using proper aseptic techniques. Following adequate correction, gently massage the treated area to ensure even distribution of gel. Initially, administer this injectable in 2 treatment sessions, 1 month apart. You can then repeat the treatments every 2 months if necessary. Since the results usually last about 6 months, repeat the treatments about twice a year to maintain the aesthetic results. The results of this cosmetic treatment usually last about 6 months, depending on the degree of correction, the patient's age and lifestyle, and correct gel placement by the injector. What areas of the body can I treat with this soft tissue implant? You can use this hyaluronic acid injectable to treat most areas of the face, including the cheeks and jowls (malar and submalar areas), temples and forehead. You can also use this injectable to treat the neck, hands, inner arms, and other areas experiencing skin laxity. Who is an ideal candidate for Profhilo treatments? The ideal candidate for this treatment is someone who is concerned about skin laxity, especially on difficult-to-treat areas. The formula of this dermal gel is most suitable for rejuvenating and tightening skin affected by early signs of aging such as dehydration, dullness, uneven skin tone, and appearance of fine wrinkles. Why should I purchase Profhilo? Purchase this injectable hyaluronic acid gel to help your patients rejuvenate and tighten their aging skin. Since this filler is manufactured by a trusted and innovative European manufacturer, your patients will definitely enjoy the aesthetic benefits of this high quality medical device. The innovative formula helps target skin laxity and is durable enough for difficult-to-treat places like the inner arms and forehead. You can also use it to complement other dermal filler injections or other aesthetic treatments. Most of all, by purchasing Profhilo from Medica Depot at low wholesale price, you get to save your money. What are Profhilo's side effects? Commonly reported side effects listed above usually resolve within a week. Patients who do display any of the rare reactions must seek immediate medical attention. These may not be all the possible side effects. Refer to the product information pamphlet for more information. Injected via BAP technique, patient noticed skin tightening results with 2 weeks (sooner than the 4 week recommended time frame). No doubt enhancements will continue after second treatment. Very pleased with product.